Madam C.J. Walker was the first African American woman millionaire in America. She was the inventor of the Walker System of hair care, and a supporter of entrepreneurs and economic success among African American women in setting up their own Walker hair care businesses. She's known as an inventor, saleswoman, business entrepreneur, business executive, and philanthropist. She lived from December 23, 1867 to May 25, 1919. Sarah Breedlove was born in 1867 in Louisiana to Owen and Minerva Breedlove, both of whom had been enslaved from birth, and after the Civil War, became sharecroppers. Sarah had four brothers and an older sister, and was the first of the siblings born free. Young Sarah herself worked in the cotton fields from early childhood. She was not educated, and was virtually illiterate all her life. Her mother died when she was five and her father a year or so later. Sarah went to live with her older sister Louvenia, who moved to Mississippi in 1878 after a yellow fever epidemic. Sarah, only 10, began to work as a domestic servant. Louvenia's husband was abusive to Sarah, who escaped the situation by marrying in 1881 at age 14. By the age of 20, Sarah had been widowed, her husband Moses (Jeff) McWilliams killed, according to some speculation, in a lynching or race riot in 1887. Their daughter, Lelia (later A'Lelia), was two when her father was killed. Sarah moved to St. Louis where she found work as a washerwoman. Long and hard hours in that work helped Sarah put her daughter through school, including Knoxville College in Tennessee; she was determined that her daughter would be more literate than she was. But working over hot tubs with harsh chemicals, and with the hair products of the time, caused Sarah to begin to lose her hair, and she experimented for years to find a treatment. 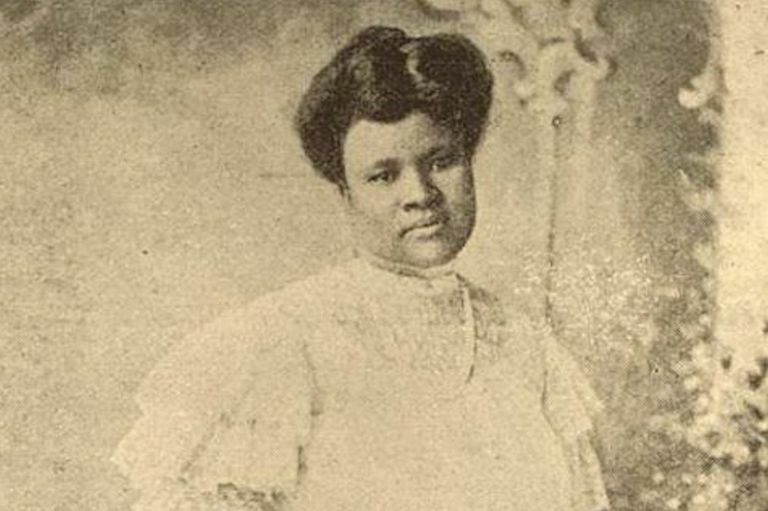 Inspired at last, she claimed, by a dream which told her of a product from Africa that she could use, Sarah Breedlove McWilliams invented a secret formula for hair growth and began using it herself between 1900 and 1905. By 1905, she had begun preparing and selling the "Wonderful Hair Grower." She also adapted the hot comb of the day to have more widely-spaced teeth, to accommodate the coarser and heavier hair of African Americans. The growth ointment, a hair oil, a psoriasis scalp treatment, and the hot comb became known as the "Walker System" to straighten hair of black women — though Sarah always stressed the growth aspect over that of straightening. At a time when African American women were interacting with the "white world" more, the straightening product helped those women fit more into the "white world" image of what a woman should look like; it wasn't until the 1960s that black women began to widely question the idea of straightening black hair to "fit in." Sarah and Lelia moved in 1905 to Denver where Sarah worked, again, in a laundry, and sold her products as a sideline. The products began to be more and more successful. About this time, Sarah met Charles J. Walker, a publicist with newspaper experience, and he began advising her on how to better promote and advertise her hair care products. The two married in 1906, and she — perhaps at his suggestion — began using the name Madam C.J. Walker professionally. While Charles Walker stayed in Denver and promoted the hair care products, Madam Walker sold her products door-to-door there, and then began traveling to parts of the South and East to demonstrate and sell the products, finding a larger market. She moved from personally selling the products to demonstrating them to others she called agents and training them in how to use and sell them. These agents often operated their own beauty care businesses, from which they sold the products and used the Walker system, and through encouraging these small entrepreneurships, Madam Walker's business continued to grow. Charles Walker resisted further expansion of the business, and they separated. By 1908, Madam Walker had established Lelia College in Pittsburgh to train beauticians in using the Walker System. Lelia moved to Pittsburgh to manage the business in that area. When Madam C.J. Walker visited Indianapolis, she realized that its location and access to transportation systems made it the right place for company headquarters, and she moved the offices there. She built a manufacturing plant in Indianapolis at the headquarters, and added training and research facilities. She divorced Charles Walker in 1912. Madam C.J. Walker hired Freeman Random to run the Indianapolis operation in 1913, and at Lelia's urging, Madam Walker opened a second Lelia College there. Madam Walker organized agent-operators into Walker Clubs, helping them not just become successful in the hair care business but also in charitable work and community service. The first national convention of Walker agents was held in 1917, a year when the business was grossing $500,000. Walker hair care businesses allowed many women in the African American community to achieve economic success. In some cases, for instance that of A. Philip Randolph and his wife, it allowed the husbands to engage in careers or activism or take stands (in his case, union organizing) where they might be fired from their jobs. In 1916 Madam Walker herself moved to New York City and joined Lelia there in a grand townhouse. She then built an even grander and more opulent mansion on more than four acres along the Hudson, and called this home "Villa Lewaro." Active in charitable work herself, Madam C.J. Walker died in 1919 after suffering a stroke or heart attack after speaking at an anti-lynching meeting. She left a large fortune, over a million dollars, giving two-thirds to groups like the NAACP, churches, and Bethune-Cookman College, and one third to her daughter, Lelia Walker, who renamed herself A'Lelia Walker. Mary McLeod Bethune gave the eulogy at her well-attended funeral, and A'Lelia Walker became president of the Walker business operation, continuing its growth. A'Lelia Bundles [great-great-granddaughter of Madam C.J. Walker]. On Her Own Ground: The Life and Times of Madam C.J. Walker. 2001. Beverly Lowry. Her Dream of Dreams: The Rise and Triumph of Madam C.J. Walker. 2003. A'Lelia Bundles. Madam C.J. Walker: Entrepreneur. 1991. Pat McKissack. Madam C.J. Walker: Self-Made Millionaire. 1992. Marian Taylor. Madam C.J. Walker. 1993. Penny Colman. Madame C.J. Walker: Building a Business Empire. 1994. Marlene Toby. Madam C.J. Walker: Pioneer Businesswoman. 1995. How did Madam C.J. Walker become a millionaire? How did Maggie Lena Walker create wealth during the Jim Crow Era? What did African-American achieve between 1900 and 1909?